Lukewarm karst water with calcium-magnesium-hydrogen-carbonate, of a stable low concentration of solubles. The area had been a known water supplying site as early as in the Roman age. The district around the springs was honoured as a holy site and archaeologists have even found in the territory of the bath the base walls of the sanctuary. As a result of the latest diggings, traces of taking the springs in possession and details of constructions were discovered. Their archaeological processing is in progress. We know of a hospital having been built o n the shore of the sea located in the area in the period of King Mátyás. In 1930 the joint-stock company Római Fürdő Rt. was founded. In 1964 the astoundingly renewed open-air bath was opened which ever since has preserved its form created that time. 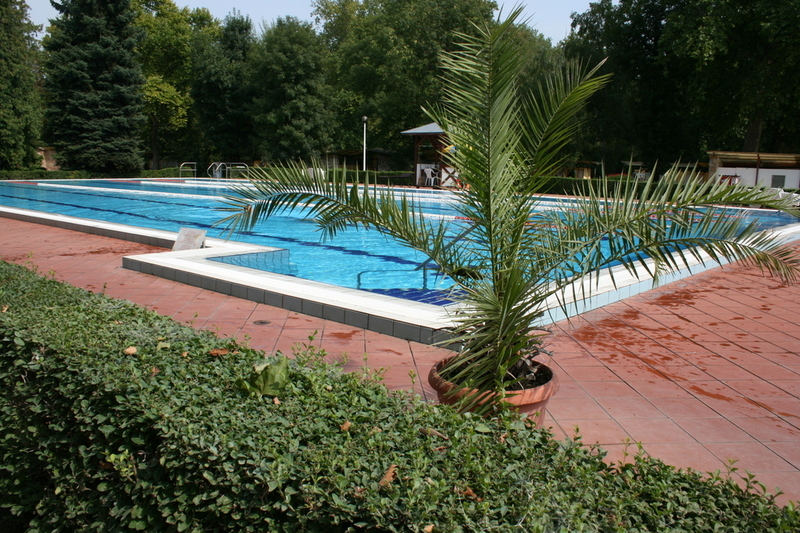 In 2000, three pools of the open-air bath were modernised: the pools were equipped with filtering water whirling devices. 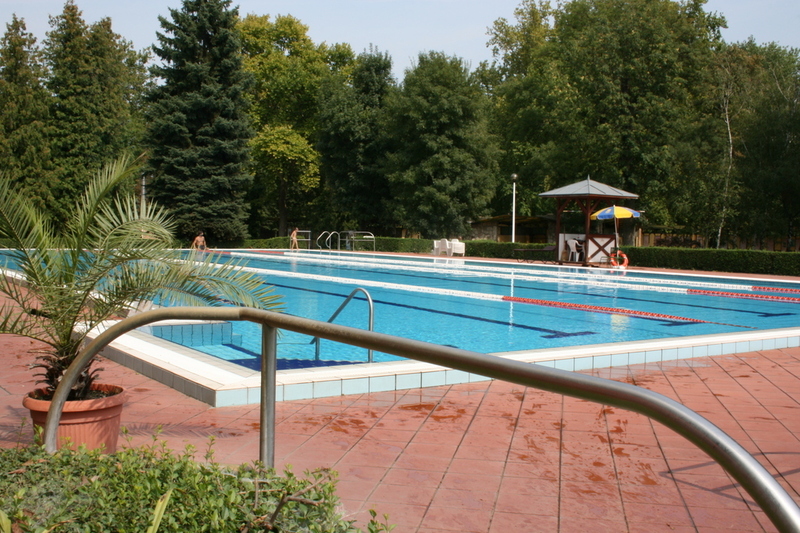 The open-air pool was transformed in a fancy pool with chute, neck shower and effervescing facility and the children's basin became a playing paradise. The pictures of the open-air bath can be seen in the Virtual Tour.